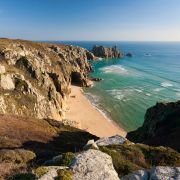 The popularity of the latest television adaptation of Winston Graham's Poldark novels has once again propelled the stunning scenery of Cornwall into the limelight. The internet is now replete with articles explaining where many of the most dramatic and picturesque scenes were shot. However, much of both the 2015/2016 Poldark television adaptation and the original 1970s Poldark TV series weren filmed outside of Cornwall. In fact, the indoors scenes in the original series were filmed at the Pebble Mill studios in Birmingham. Over recent years Cornwall's popularity as a film location has grown with even the odd Holywood blockbuster being filmed down here. 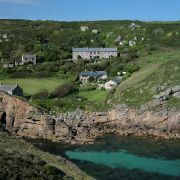 But many of these locations might seem somewhat familiar to those who watched the original Poldark back in 1975, and there were many millions. For it was Poldark that virtually wrote the location manager's handbook on where to film in Cornwall as you will see from the list below. 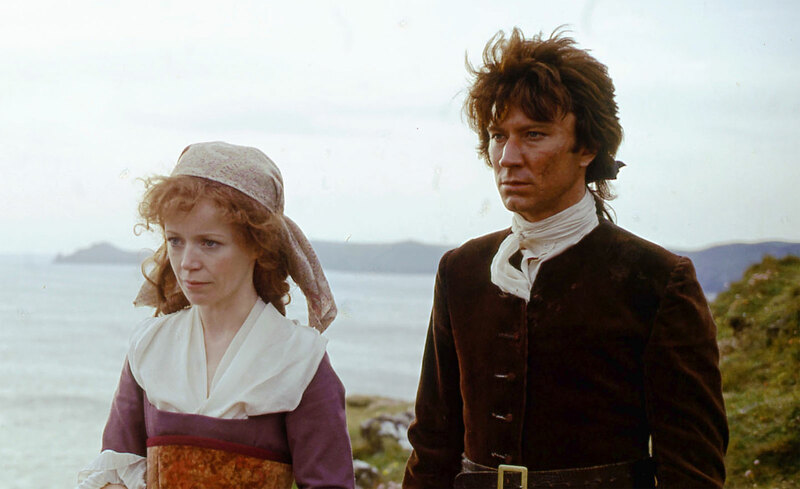 The original Poldark was filmed in what can be roughly divided up into four regions. 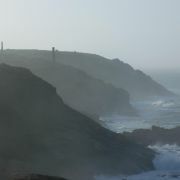 Whilst some of these overlap with the new series, no scenes were filmed on the Lizard whilst more were filmed in North Cornwall. 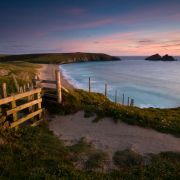 With its rugged cliffs and coves, charming fishing villages and mining heritage the far west of Cornwall was always going to be a popular choice. 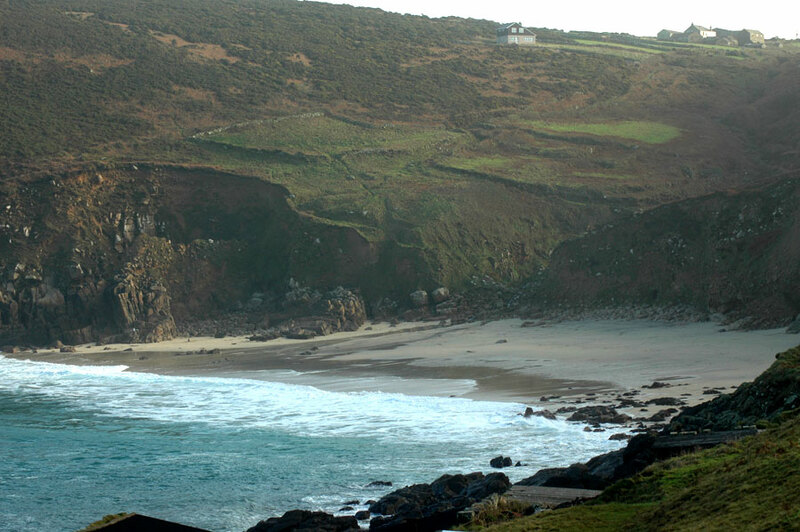 Instead of using Kynance Cove and Porthcurno to film scenes of Nampara Cove, scenes from the original Poldark were filmed at Portherras Cove in Pendeen. This location is in the heart of mining country and is a little way off the beaten track. 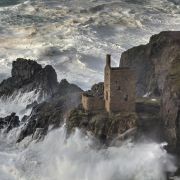 Portherras is also a stone's throw from other locations such as Botallack and Levant. As with many of the locations in the Poldark adaptations how they finally appear in the TV series is a composite of more than one real place. This is very much how Winston Graham imagined many of the places in the books, and this is true of Nampara Cove with filming also taking place in Lelant. 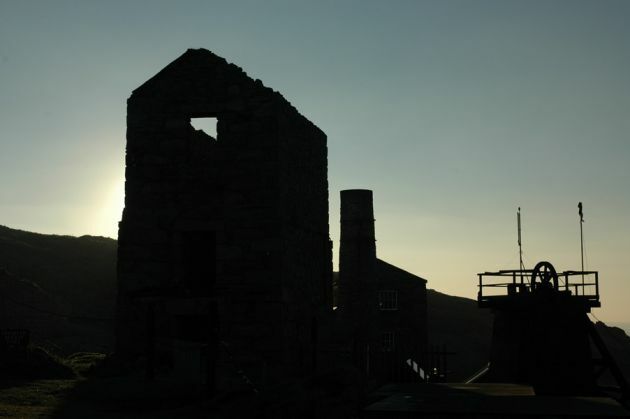 The National Trust owned Levant Mine may be familiar to viewers of the current series of Poldark where it was used as "Tressider Rolling Mill". In the original series it wasn't named but I imagine it was chosen for its authentic mine workings including a functioning steam-powered beam-engine. 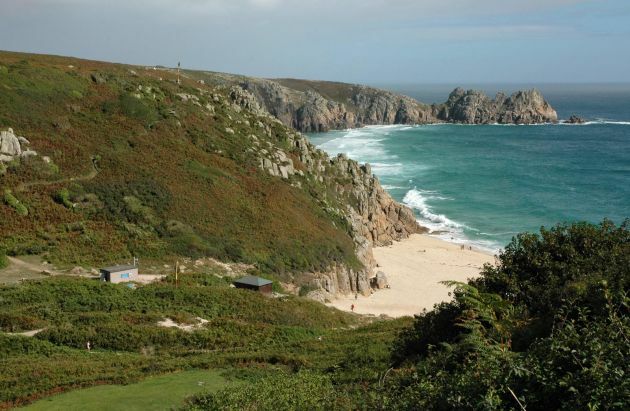 Porthcurno is one of Cornwall's most dramatic locations. Turquoise waters lap near white sand in an amphitheatre of rugged granite cliffs. It would be hard to imagine any film crew coming to this part of the world without using Porthcurno as a location! It was initially intended that the scene showing Demelza's landing by boat would be filmed here. However the strong tidal currents made this too dangerous so the scene was actually shot near Prussia Cove. Porthcurno did feature in the final scene of the first series with Ross and Demelza running along the beach together. St Just is a genuine mining village, one of the last to be inhabited by working miners. Back in the 1970s mining was still the main industry here, with nearby Geevor mine employing hundreds of local men. 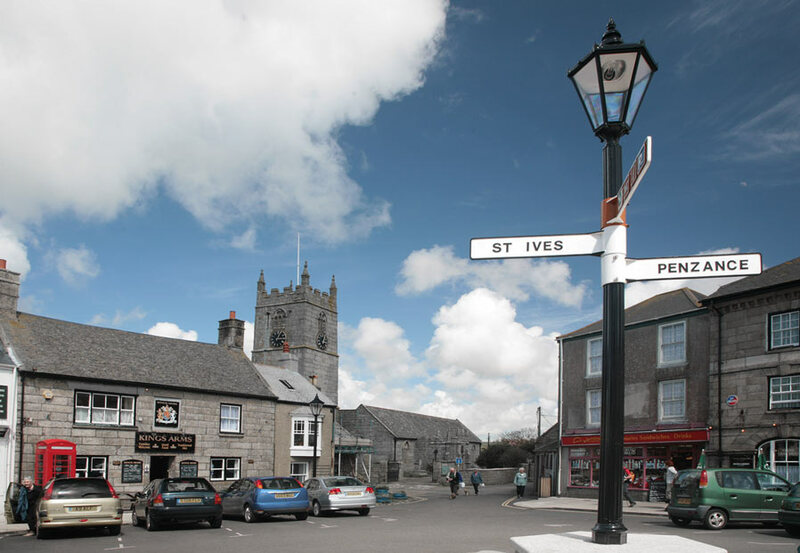 The town square and church here were used in several scenes in the orignal Poldark series as once the cars have gone, the view is very much unchanged since the 1800s. The squat little church of Towednack is located just off the moors beyond St Ives. The story goes that it was intended to have a steeple but every night, after the builders went home the devil came and tore it down. 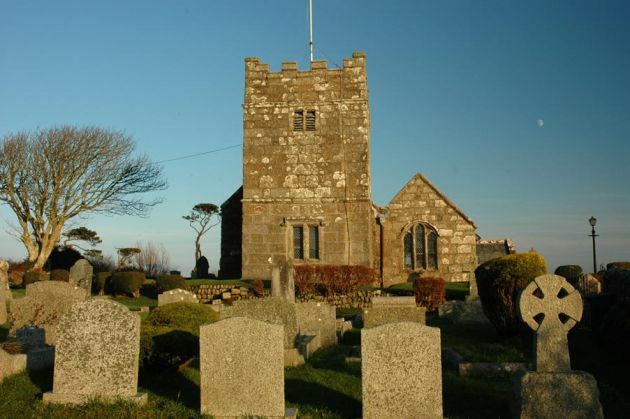 This diminutive, but characterful, church was used in the !970s Poldark as the location for Francis Poldark and Elizabeth Chynoweth's wedding. The churchyard also featured in the funeral of Francis's father (Charles). 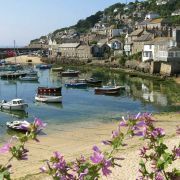 Mousehole was once described by Dylan Thomas as the prettiest village in England. 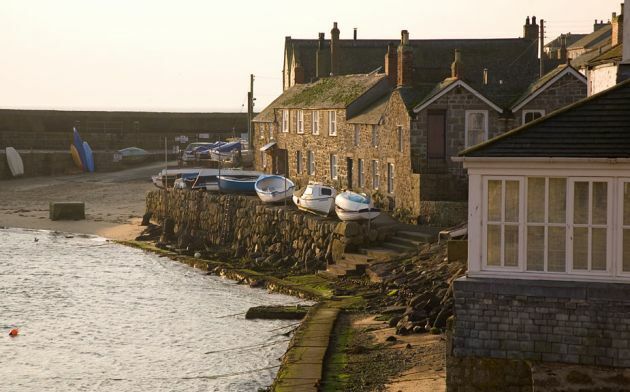 With its jumble of weathered granite cottages huddled around a picturesque little harbour it is difficult to argue. In the original series this was the scene of the Miner's rebellion. Also featured was the quirky little Keigwin Arms, reputedly the oldest building in Mousehole, dating back to the 14th century. The little cove at Lamorna sits at the end of a long, lush wooded valley. Despite feeling a long way from anywhere this little harbour was once busy ferrying granite from the local quarry both near and far. The main feature of this little cove is the 19th century granite pier which is now in a woeful state due to neglect from the private owners. However, in the 1970s the pier could easily portray a working harbour and, along with the Wink (the local pub), these were used to represent Sawle village. The medieval manor house of Godolphin sits between Helston, Hayle and Penzance. Once the seat of the Duke of Leeds and the Earls of Godolphin the house and estate are now owned by the National Trust. A mix of Tudor and Stewart architecture the front of the house is instantly recognisable by its colonnade of massive granite pillars. 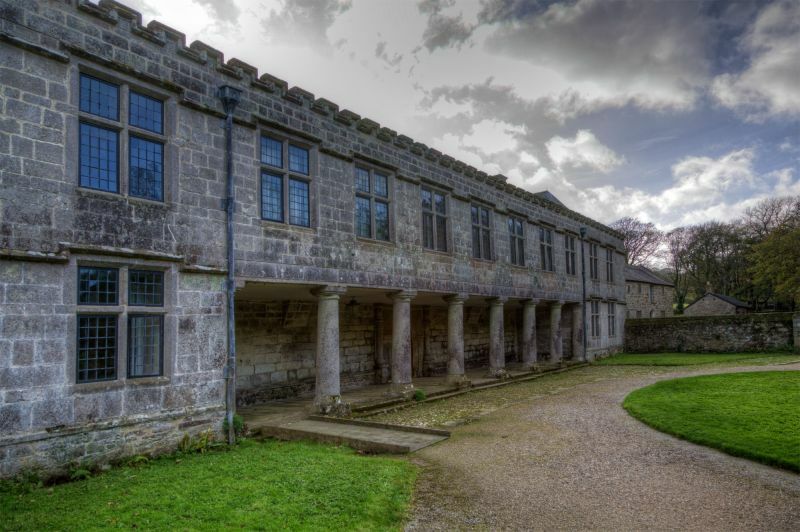 In the 1970s Poldark series Godolphin House was used as Trenwith, the home of Francis Poldark and other family members. Various parts of the large sweeping bay from Penzance to the Lizard were used to film coastal scenes of the original Poldark series. Mount's Bay (named after St Michael's Mount) was quite familiar to Winston Graham as he spent his honeymoon in Mousehole and explored the area at length. In contrast to virtually every other location in either Poldark adaptation two spots in Mount's Bay actually appear as themselves in the original series. 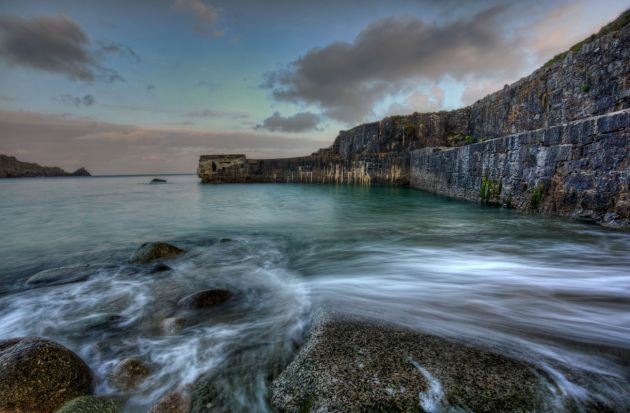 With its smuggling heritage and legends of the "King of Prussia", Prussia Cove would attract the attention of any romantic novelist, and it did so with Graham. 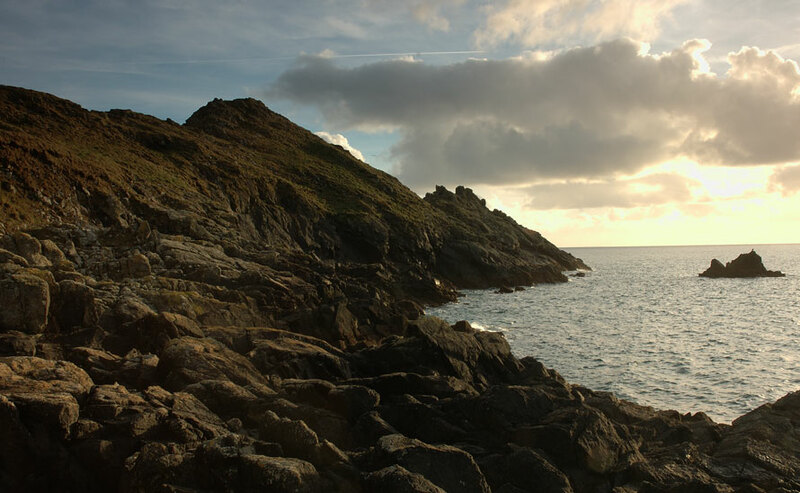 The tiny rugged coves here were used as was Cudden Point, all of which now fall into a protected Site of Special Scientific Interest (SSSI). In the days of Poldark Illogan was one of the poorer villages in Cornwall despite being located adjacent to the Tehidy Estate, owned by perhaps the wealthiest family in Cornwall, the Bassetts. 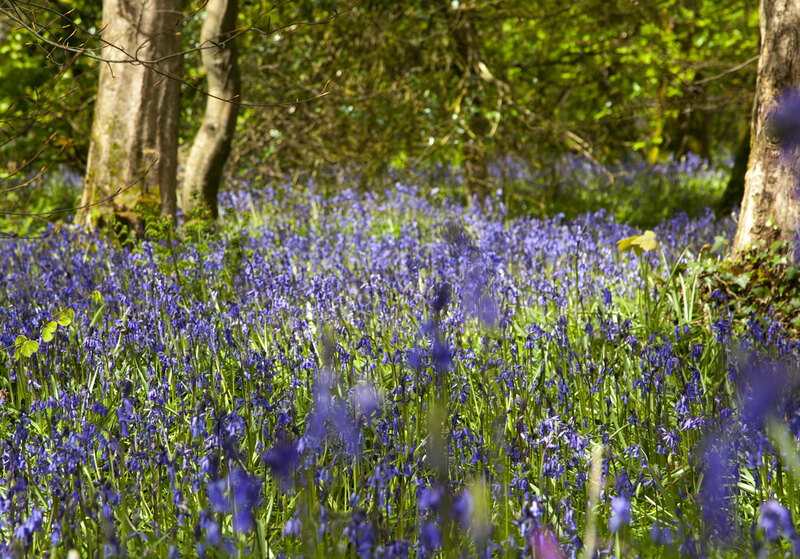 These days there aren't many reasons to visit Illogan near Portreath, however the woodland here is one of them. These ancient beech woods run from the village church and parsonage well down to Portreath with an a rough stone track following the course of the stream. Besides this the woods have been very much left to nature. Some of you will know that Illogan is where Demelza Carne grew up, before being taken on by Ross Poldark. Therefore it seems fitting that the woods herre were used for filming. Another location within the St Just area, and another part of Nampara, Ross Poldark's home. 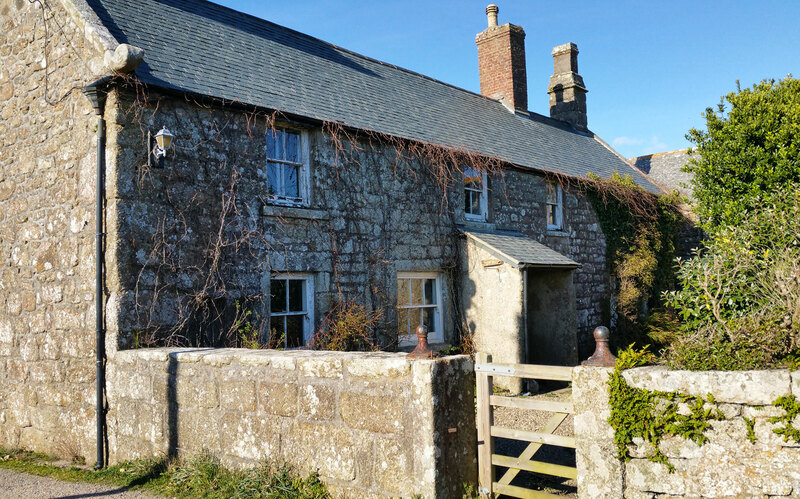 Both these grand farmhouses were used to represent the exterior views of Nampara in the first of the two 1970s Poldark series.